The advanced family of high performance GDi injectors includes the Multec® 10 GDi Injector, capable of operating up to 150 bar nominal system pressure, and The Multec® 12 GDi Injector, operating up to 200 bar nominal system pressure. The Multec GDi injectors offer flexible packaging and are compatible with existing driver schemes. Innovative GDi technology offers customers fundamental improvements in engine performance compared to traditional port fuel injection (PFI) engines. 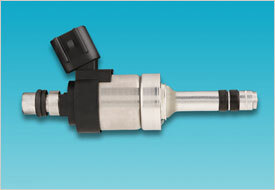 With an inward opening valve group and multi-hole atomizer, the Multec injector optimizes fuel delivery performance. This translates to better vehicle performance — improved gas mileage, reduced emissions, and increased engine power and torque. 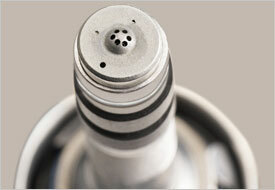 In all, Delphi has nine patents (or patents pending) on parts used in the new GDi injector technology. One result of this innovation is "best-in-class" audible noise performance — focusing energy delivery where it is needed — on control of fuel delivery. The GDi engine is a key technology for improved fuel economy, emissions, and engine performance in today's market. Already available in a number of vehicles, the demand for GDi powertrains is expected to increase significantly in the next 10 years. "The Automotive News PACE™ Award nomination acknowledges the significance of this new injector technology in moving the state of-the-art of fuel injection," said Zizelman. The Automotive News PACE™ Awards are presented each spring to honor innovation, technological advancement, and business performance among automotive suppliers. Now in its seventeenth year, it is recognized around the world as an industry benchmark for innovation.